EKWB (EK Water Blocks) on Wednesday introduced a useful but slightly different to their normal routine type of product. 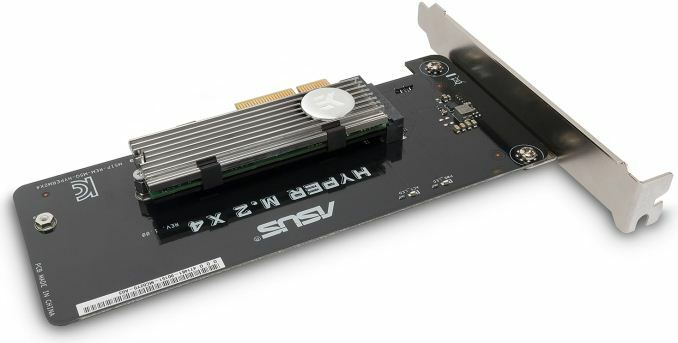 The company has started to sell its EK-M.2 NVMe passive heatsinks, designed for consumer M.2 SSDs that matches the design of the company’s water blocks and other components. The device costs €10 – €13, depending on the finish. Advantages of M.2 SSDs over consumer drive form-factor drives have been discussed multiple times before: they are smaller, sometimes they are cheaper to make, and they are faster because they use PCIe interface along with NVMe protocol (in most cases). However, they have one main drawback that sometimes affects their performance: they are hard to cool down. Contemporary SSD controllers contain multiple computing cores and perform rather intensive mathematical operations in order to work with modern NAND flash memory properly and correct read errors that occur with the latest types of flash (and thus guarantee their endurance rating). As a result, sometimes those controllers overheat on M.2 drives because of insufficient cooling and begin to throttle, reducing performance. Going forward, SSD controllers will become even more complex, especially as the industry moves to higher bit densities with TLC and then QLC architectures. Developers of such controllers will likely try to keep their TDPs in check by using lower-power compute cores and/or low-power process technologies, but it remains to be seen whether temperatures of next-gen controllers will be lower than temperatures of modern ones. Various industry players attempt to ensure proper cooling of M.2 SSDs by equipping their drives with thermal pads (Samsung) or heatsinks (Plextor), offering heatsinks with motherboards (MSI) or selling aftermarket thermal pads (Silverstone). 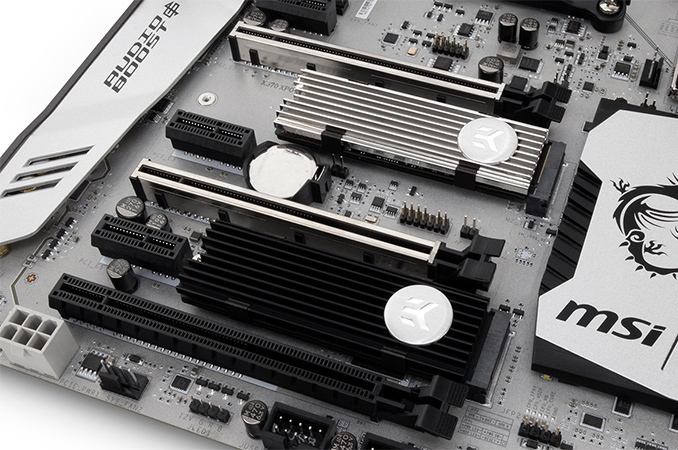 Now, EK Water Blocks is throwing its 2c and offering aftermarket M.2 heatsinks for owners of its LCS and other customers. The EK-M.2 NVMe passive heatsinks are made of aluminum, feature front and back plates, and are equipped with clips to attach them to SSDs. The coolers are compatible with single-sided M.2-2280 drives plugged into M.2 slots that are of 4.2 mm height. Essentially, EK-M.2 NVMe can handle standard consumer SSDs installed into typical desktop motherboards, but compatibility beyond that cannot be guaranteed. According to EKWB, the EK-M.2 heatsink can reduce controller temperature by 8-10°C, or even more with appropriate airflow. As for pricing, EKWB sells its the EK-M.2 NVMe heatsink with black finish for €9.96, whereas the M.2 SSD cooler with nickel finish costs €12.94 (incl. VAT). The products are available from EKWB’s online store as well as from its resellers.